Many people identify with Leonard Nimoy’s beloved portrayal of the half-human, half-Vulcan. As his son Adam’s recent documentary For the Love of Spock relates, many fans relate in a literal sense to his mixed heritage. Others relate to the Enterprise’s XO due to a marginalized status such as sexuality — it wasn’t as accepted to be “out” in decades past. 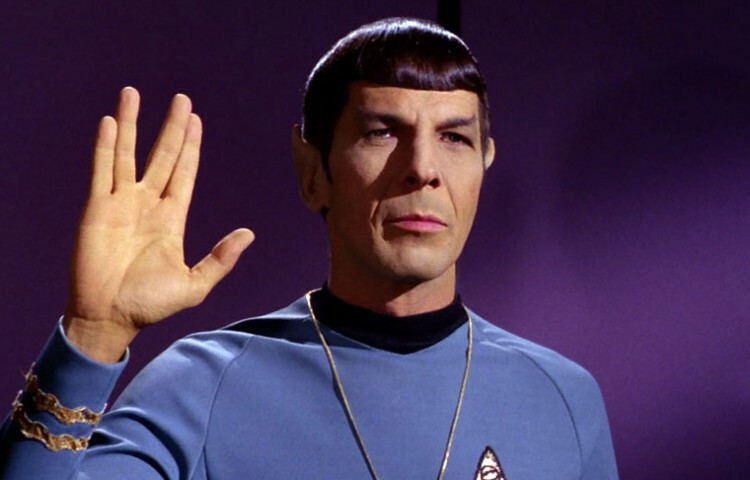 Perhaps to a lesser extent, some Trekkies identified with Spock in terms of neurodiversity. With a human mother and a Vulcan father, and thus the genetics of two species with two distinct neurological makeups, he is part of two worlds but not fully part of either. I didn’t figure out why until recent years, but Spock’s duality appealed to me from a young age. I was certainly an outsider. I became interested in Star Trek somewhere around 4th grade. When other girls my age talked about 90210, I couldn’t understand the appeal. Why would you want to watch rich people talking to each other when you could watch space battles and aliens? My obsession with Star Trek only increased over the years…can you say “restricted special interest?” I watched every VHS we owned, and whatever my father had taped off the television. In high school, I began to write fan fiction… in the Nineties on my Windows 95 computer. Using an ancient dial-up connection, I used to frequent a Star Trek chat room on Yahoo where I made friends, some of which have remained so after 20 years. Then, in 2006, I took an Asperger Quotient test. After scoring very heavily on the Aspie side, I began researching it, and realized these articles seemed to be describing both my father and myself – how we approached hobbies, sensory needs, literal interpretation. Long story short, despite attempting to obtain an official diagnosis in 2007 and 2009 and not being able to do so (because I appeared too “high-functioning,” on top of being female), I wasn’t diagnosed until 2016, a few months after the DSM-V was implemented and I found myself with a proper Autism diagnosis. It had started to come together for me when my son was diagnosed in 2011, at 22 months old, and my mother realized that many of my son’s diagnosis criteria – such as spinning and hand-flapping – I had also done as a child. But she never believed anything was wrong. Some of my son’s other Autistic traits she further realized were shared with his grandfather – my father – based on stories she had heard from her mother-in-law about my father’s childhood (lack of safety awareness, elopement) as well as quirks she’d gotten used to after years of marriage (sensory sensitivities, an extremely unique sense of humor, and a penchant for unintentionally embarrassing her socially). When I began to attend college two years ago and found myself often writing about Autism – and thus doing more research on it with access to professional journals – everything began to come into focus. I saw that Autistic “symptoms” and Vulcan characteristics are essentially one and the same. I even found emerging research on female phenotypes of Autism. What do Vulcans and Autistics have in common? They are often perceived by Humans and neurotypicals to be cold, unemotional, without empathy, and often logical and literal to a fault. Yet Star Trek canon and the neurodiversity movement continue to prove is the opposite is often true, if one takes the time to look. Until Surak, Vulcans were a passionate but violent race. Embracing logic taught them to repress or hide emotions, but did they really become any less a passionate species? 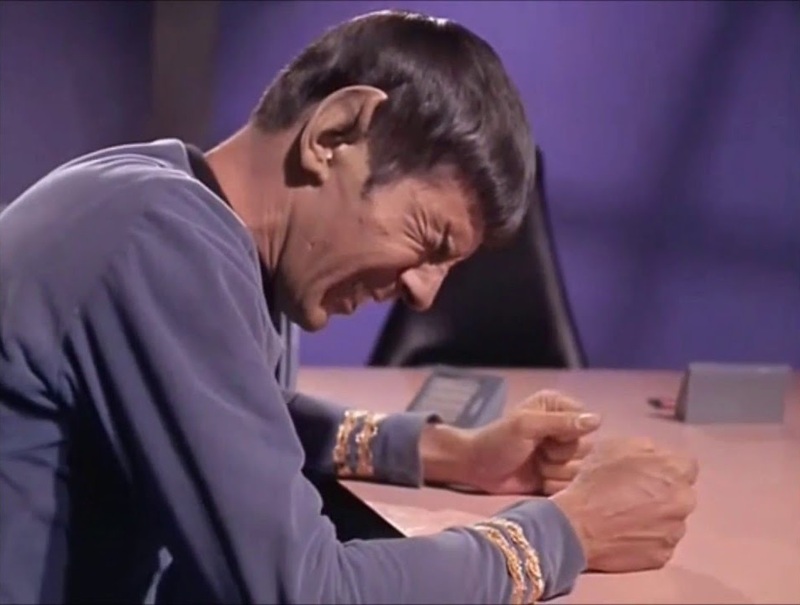 Take the Pon Farr, a mating cycle so intense that every seven years, a mature Vulcan essentially has a sexual “meltdown” that is out of their control. In many of the Trek television series, a Vulcan’s loss of control is often used as a plot device. This is certainly evident in the TOS episode “Amok Time,” as well as T’Pol’s character arc during the second half of Enterprise’s run. It’s portrayed as big deal to the human characters – now accustomed to their seemingly emotionless crewmate – when that crewmate is suddenly more expressive than them and having trouble regulating their feelings. To me, it does not seem any different than an Autistic human doing their best to “pass for neurotypical.” For many Autistics, social interaction is consciously learned, and in turn, consciously applied in day-to-day life… as Vulcan children likely learn from an early age. Then there are sensory considerations: Vulcans are known to have more acute senses of smell and hearing – as many Autistic people do as well (though this does vary between Autistic humans due to differences in sensory sensitivity and varying abilities to filter it in a way that seem to come naturally to neurotypical people). Yet at some point, both Vulcans and Autistics may lose their ability to “pass.” They lose their ability to interact with a world that is often hostile to them, a world that wants to cure them, or make them act more human. The observers have no idea of the internal efforts that both groups put into these coping skills to control their behavior. I guess it was just pure, simple, logic that I ended up identifying with Spock as a child – without understanding why. It was intrinsic, in a way, and quite literal on my part. We are both children of two worlds and struggling to find balance. As with many fan fiction writers, my original character (OC) was heavily based on myself, or what I wished I could be. After my son’s diagnosis, I returned to re-reading my fan fiction and began to see it in a new light – I was writing an Autistic character before I knew what Autism was, though my OC’s Autistic traits were quite magnified. But even when I wrote these in my late teens, my fictional character’s behaviors directly mirrored the emerging Autistic female phenotype that professionals are finally taking note of. You never fail to impress me, Mish. Having watched your development as a writer from the chatroom onwards, I cannot praise you enough! Having this article published is only a logical progression from listening to you read your fan fiction to me as I drove down the New Jersey Turnpike! I will be first in line when something you write hits a bookstore. I’m currently waiting on diagnosis as a twenty something. I also write fanfic and the character has some autistic traits, but isn’t what people expect – the sort that would slip under the radar until adult life. Girls are really badly under diagnosed still. Hi, having a son with autism I can relate to your story. I also find Vulcans very interesting and the similarities with autism and Vulcans are there. The brain of a person with autism works differently, that’s hard and a true challenge. Good luck with your writing, Mish.